tags: article, chicago, los angeles, museum, new york city, san francisco, washington d.c. The United States holds an amazing array of art museums with a vast assortment of American art as well as international collections. From ancient to modern works, the most notable art galleries across the US give us a window into the artistic expression of past and present humankind. Not only do these galleries deliver the art in the form of painting, photography and sculpture, but they embody the essence of American cultural movements and architectural design over the years. Check out the top ten Art Museums in the US. This list shows the countries favorite art museums ranked in order of attendance ranks. The Metropolitan Museum of Art or just ‘the Met’ is the most popular art gallery in the United States. It was founded by businessmen and investors in 1870 and opened its doors just four years later. Now it holds one of the most remarkable art collections in the US and among the largest in the world! With over two million works—the Met is certainly an impressive and dynamic concentration of art. Explore the ancient sights with works of classical antiquity that date back to Ancient Egypt, step down the halls of European masters and the most recent additions of American and modern art. Be sure to catch a glimpse of the Manhattan skyline and Central Park from atop the roof garden. There is no set admission (though a $25 donation is recommended) and the museum is located at 1000 5th Avenue (New York City). 2. National Gallery of Art – Washington D.C. The National Gallery of Art is an expansive collection of western collections located in Washington D.C. on the National Mall. The National Gallery of Art began by joint resolution of US Congress and was founded as a result in 1937. Many of the first collections were donated from various sources—notably an expansive collection from Andrew W. Mellon. This gallery holds illustrations, paintings and photographs within its collections, along with decorative art works and sculpture pieces. It covers eras of Western Art from the Middle Ages up to modern times. It’s unique in that it holds one of the only Da Vinci paintings in the Americas, along with other famous names like Rembrandt, Van Gogh and Picasso. It also contains a Sculpture Garden. Visit the National Gallery of Art at the National Mall between 3rd and 7th at Constitution Avenue NW (Washington, DC). The Museum of Modern Art or MoMA is a leading museum of modern art located in New York City. This particular art gallery was established by the “the adamantine ladies”—Abby Aldrich Rockefeller, Lillie P. Bliss and Mary Quinn Sullivan. The collections within MoMA hold unique modern and contemporary pieces from architectural works and sculpture to painting, drawing and design. It also holds an array of photographs, film, electronic media, illustrated books and artist books. MoMA boasts one of the best collections of modern Western masterpieces with famous works from Salvadore Dalí’s The Persistence of Memory to Campbell’s Soup Cans by Andy Warhol. Be sure to stop into The Modern—a restaurant on site, run by chef Gabriel Kreuther. The Museum of Modern Art is absolutely free on Fridays after four, but most days $20 general admission is required. It is located on 11 West 53rd St (New York). J. Paul Getty Museum or just ‘the Getty’ is a fantastic museum located atop the hill with modern architecture, sleek gardens and grand views overlooking the city of Los Angeles. The Getty began in Pacific Palisades where J. Paul Getty in 1974 opened his second museum on his property at this location. The museum was relocated to Brentwood in 1997, and the original site was named Getty Villa—collection of Greek and Roman art. Now the main museum—The Getty Center holds a vast collection of Western art that dates as far back as the Middle Ages. The Getty holds a unique mix of artwork and collections with 144 rare illuminated medieval manuscripts and 20th Century photographs from across the globe. Ride the hovertrain funicular to the Getty Center and step down its expansive halls. Admission is always free. The Fine Arts Museums of San Francisco are spread across six different locations to include M. H. de Young Memorial Museum (Golden Gate Park) and California Palace of the Legion of Honor (Lincoln Park). It was once known as ‘the City’s Museum’, as it is the oldest museum in San Francisco. The Fine Arts Museum holds a grand collection of American paintings from the 17th and 20th Centuries and over 2,000 digital photographs. Its collections span from African and Oceanic Art, to American art from the Mesoamerica, Central and South America. Among the most notable additions, the Jolika Collection holds 400 masterworks that originated in New Guinea. The Fine Arts Museum is also home to European tapestries and a collection of textiles from the 18th Century up to the present day. Each extension of the museum has youth, student, senior and general admission rates up to $10 per museum. The Art Institute of Chicago hosts a fine art gallery located in Grant Park. The original establishment dates back to 1866 when 35 artists came together to create the “Chicago Academy of Design” with free school and art gallery. After the Chicago fire destroyed the second building in 1879, another attempt was made in 1882. It was renamed Art Institute of Chicago and the lot on Michigan Avenue was purchased. The museum spans across one million square feet to accommodate American, European, Asian and Ancient Art collections. From the architecture and old master works to contemporary art and graphic design, the Art Institute of Chicago is an eclectic mix of old and new. It boasts works of both Impressionist and Post-Impressionist art along with Ancient Greek, Egyptian and Roman galleries that include the mummy case of Paankhenamun. General admission is $25.50. 7. Smithsonian American Art Museum – Washington D.C. The Smithsonian American Art Museum located in the arts district of Washington D.C. is among the world’s largest collections of American art. This particular gallery was established in 1829 with its main gallery now housed within the old Patent Offic—named a National Historic Landmark. From the colonial days up to present times, the Smithsonian American Art Museum covers notable movements of the United States with New Deal art works, American Impressionist paintings and works of the Gilded Age. It holds over 7,000 different artists including African American and Latino works with modern folk art, photography and realist pieces of the 20th Century. 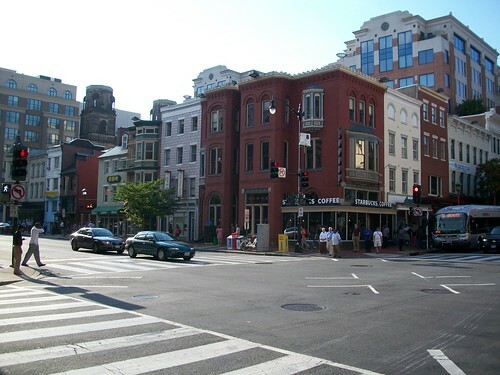 Head to where 8th meets F Street, N.W. (Washington D.C.) and walk right in with free admission. Guggenheim Museum or just ‘the Guggenheim’ is a grand Non-Objective Painting Museum in the Upper East Side of Manhatten (New York City). The art gallery was founded by the Solomon R. Guggenheim Foundation in 1939. The Guggenheim was built for the “promotion and encouragement of education in art and the enlightenment of the public.” It now holds over 7,000 works of art that include a mix of Impressionist and Post-Impressionist paintings to early modern and contemporary pieces. The building itself is a work of modern architecture and landmark structure of 1959. It’s named the ‘temple of spirit’ with the top wider than the base portion. Visit the Guggenheim galleries at 1071 5th Avenue (New York City) with admission priced at $22. The Los Angeles County Museum of Art or LACMA is an extensive collection of works from ancient to the present day on Wilshire Boulevard of the Miracle Mile area. The museum was established in 1961 and has grown to become one of the largest collections of art in the western United States. It features 150,000 art works from Modern and contemporary art to Greek, Roman and Etruscan antiquities. LACMA’s galleries include American, Latin American and Asian collections along with decorative arts, modern sculpture and photography. Among its most unique features is the film and concert series. The Los Angeles County Museum of Art is located on Museum Row and is free for under 18 with general admission priced at $15. 10. National Portrait Gallery – Washington D.C. The National Portrait Gallery is a historic art museum and Smithsonian Institution located within the famous Patent Office Building of Washington DC—just next to the Smithsonian American Art Museum. The National Portrait Gallery came about after Robert C. Winthrope—President of the Massachusetts Historical Society—traveled to the National Portrait Gallery in London. It first opened as part of the National Museum of Natural History in 1921. By 1968, the National Portrait Gallery opened its doors to the public. Famous presidents such as Jefferson, Monroe, Adams and Madison can be seen within the Gibbs-Coolidge set, along with the unfinished portraits of George and Martha Washington by Gilbert Stewart. Others include the “cracked-plate” photograph of Abraham Lincoln and other famous Americans such as Benjamin Franklin, Frederick Douglass and Charlie Chaplin. 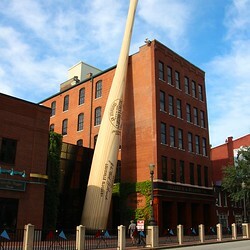 It is located at 8th and F Street (Washington DC) and offers free admission. Learn more about these museums and more at US City Traveler. What’s your favorite art museum? We would love to hear from you in the comments section below. Taylor Goldblatt is the founder and editor of US City Traveler. After years of research, travel, and dreams, he created this website for people like you who want to experience the things that only America can offer. His passion is to explore and share America's greatest destinations and attractions. Happy to say we’ve visited 9 out of the 10 museums on your list (some more than once.) At the same time, we’re sorry to say that we didn’t get to the Art Institute of Chicago – the one major city on our 4 year tour of the U.S. that we somehow missed.